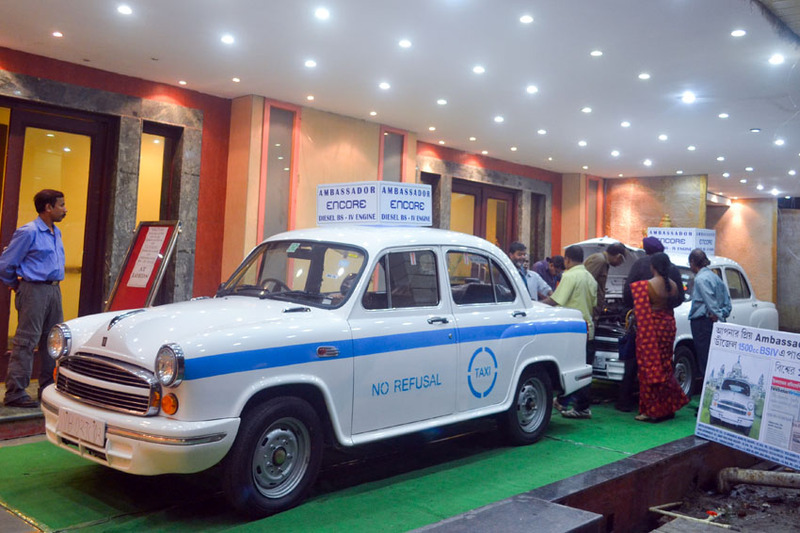 Hindustan Motors Ltd. has priced its newly introduced BS-IV-compliant diesel Ambassador at Rs. 497,996 (ex-showroom, Kolkata) for the 'no-refusal' taxi segment. Bookings for the vehicle named Ambassador Encore will begin from September 2, 2013.
replacement taxi segment will be able to avail of a handsome reduction in the announced price. Significantly, the West Bengal government has recently issued 2000 permits for the no-refusal taxi segment. Another set of 2000 similar permits is expected to be released in November. HM expects a good share of sales from these lots. "It is a game-changing offer from HM which has always accorded highest priority to customers' needs and purchasing power. The company made significant investment in terms of money and man hours to upgrade its BS-III 1.5-litre diesel engine to BS-IV standards and OBD 2 level. Yet it has chosen not to pass on the expenditure to customers. 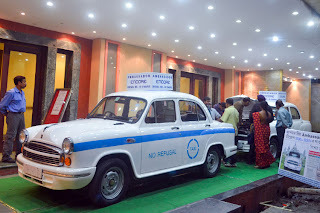 Through value engineering and cost-efficient manufacturing, HM is able to offer Ambassador Encore at this amazingly low price without any compromise on quality," said Uttam Bose, Managing Director & CEO, Hindustan Motors Ltd.
Hindustan Motors' National Sales Head, Chandan Bose, formally announced the price at a meeting of office-bearers of the state's different taxi associations. Leaders of the taxi organisations, who had extensively tested the vehicle even before its recent certification as BS-IV-compliant by Automotive Research Association of India, once again endorsed the upgraded vehicle's features and value for money. "The new vehicle offers higher power and torque, better vehicle control with power steering, improved gradient negotiating capacity and overall better driveability with no compromise on fuel consumption. The smoke issue has also been resolved by the BS-IV engine," said Bimal Kumar Guha, General Secretary of Bengal Taxi Association.